chemical free and long lasting – saving both you and the environment! It just makes perfect sense, doesn’t it? Imagine having a garden bench, gate, fence or deck that does not splinter, doesn’t absorb moisture, does not break down, looks like wood and best of all is 100% maintenance free. 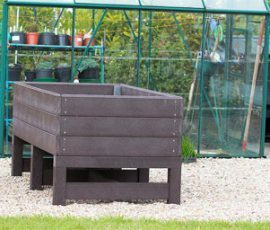 We are Irelands leading supplier of maintenance free recycled plastic, durable and lifelong outdoor furniture, gates, flower boxes, fencing, decking and many other products. 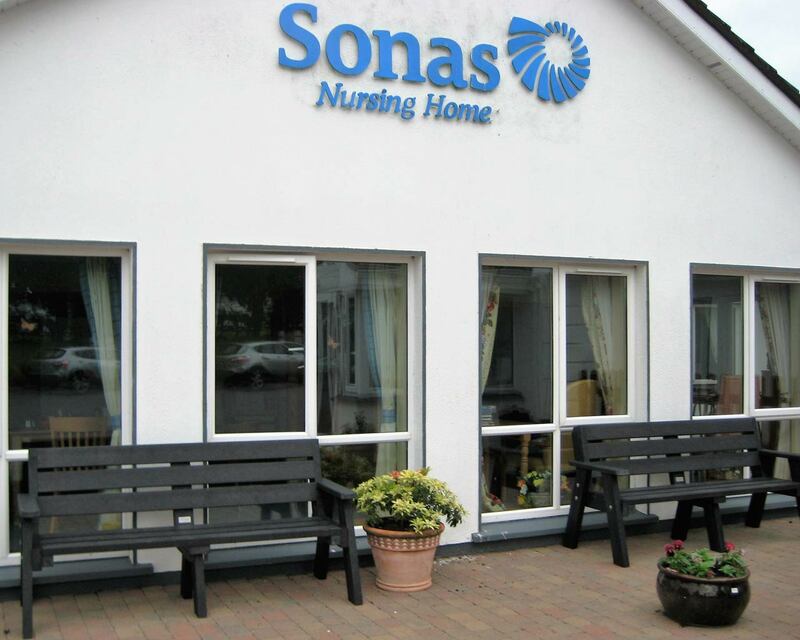 We sell long lasting and maintenance free products for gardens in both urban and rural settings throughout Ireland. 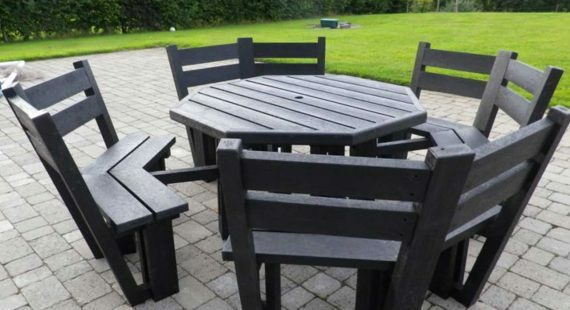 All our garden furniture is crafted to the highest standard from maintenance free recycled plastic boards and each item is made with the customer’s comfort at the forefront. 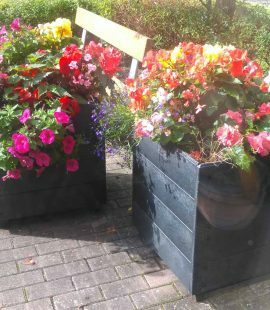 Accessibility is very important to us and all our picnic tables are wheelchair accessible, which makes them very user friendly to all. With 15 years of knowledge and expertise, we continue to develop new products for our customers. We will work with you to design your product using our craft skills and expertise, specifically created to suit your requirements. Our knowledge and expertise have allowed us to develop quality products which we can customise to your individual needs. There is no sanding, treating or painting necessary- just wash down with warm soapy water. This will significantly reduce your maintenance costs and time to sit back and relax and enjoy life. Recycled Plastic surface is knot free, evenly coloured and wear resistant. It is very heavy and will not blow over. As it is non- absorbing, difficult to ignite and paint can be easily removed with solvents. Recycled Plastic does not rot like timber or rust like metal. 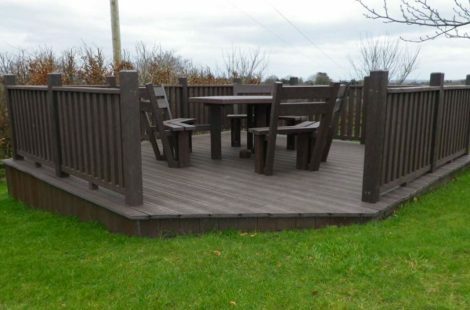 It is splinter free and the decking is a slip resistant product. It has a 40+ years expected life span giving it an environmentally-friendly advantage. The life costs of maintenance, installation and replacement of timber products is three times more expensive than those made from recycled plastic. 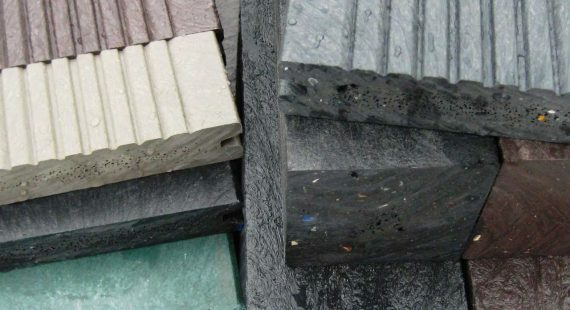 Recycled plastic products offer sustainability benefits and require minimal upkeep and repair. 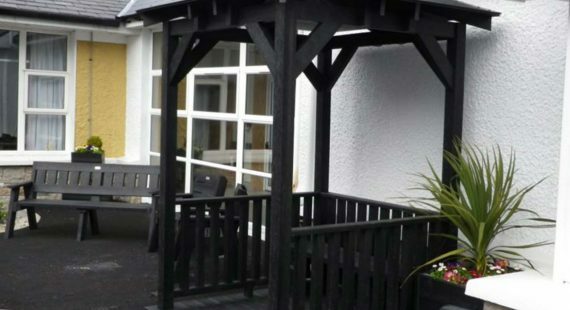 Our durable and weather proof products offer years of quality and enjoyment while still maintaining an attractive look. they add greatly to the school environment. I have purchased many items of outdoor furniture from Murray’s over the past few years. These have included garden furniture with benches, an oversized story time chair and numerous multi-coloured picnic tables and I love all of them. They are heavy duty, hard wearing and completely maintenance-free. They are strong, durable and admired by everyone as they are as gorgeous as they are useful. We were looking for a new bin. One of the green keepers suggested we check Murray’s Recycled Plastic. We were very happy with their service and quick delivery. It was even better than expected. Due to our close proximity to the sea, most products fade and rust, but theirs can take the weather and conditions without any effect. 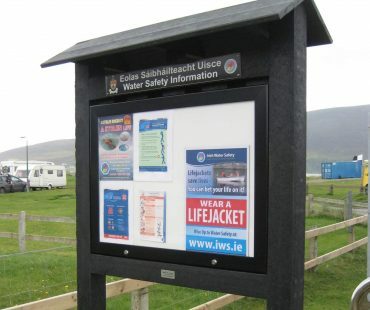 The product is also strong and sturdy – ideal for the windy west of island. After many years of buying garden furniture that either blew away or damaged easily, I found the Murray’s Recycled Plastic. The furniture is heavy and solid and will withstand any weather. There is no need to paint it year after year. They are a beautiful addition to our garden, maintenance-free and life-lasting! I’m so happy with the service from John & Sheila who looked after us very well, put together all the furniture and delivered it right to my door. Just a quick note to say that the bench we received from Murray’s is an amazing addition to our garden. Not only can I, a wheelchair user, sit with my family and friends like a normal person, I’m also able to do my computer work independently. 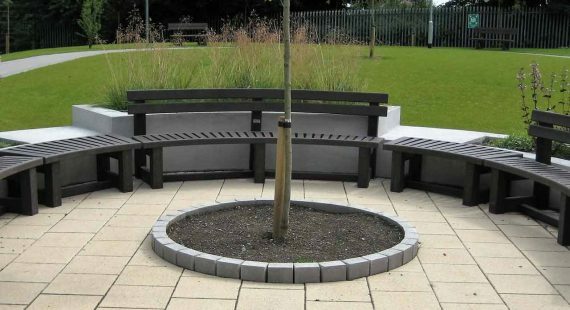 The bench is a fantastic design and nobody would notice the slot cut out in order for me to drive in and be amongst other people. Thank’s so much for this marvellous bench! 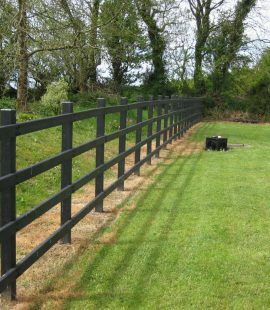 Ballinrobe Racecourse have been doing business with Murray’s Recycled Plastics for a number of years. We have found all their products excellent and very well made. 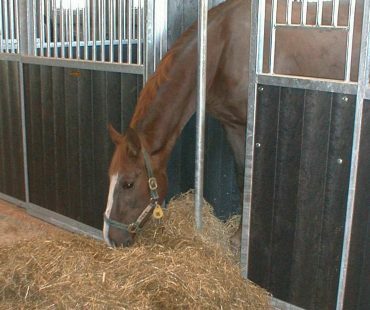 We have purchased parade ring seats, benches for the enclosure and tongued and grooved panels for stable door and highly recommend their products. Glengarriff Graveyard Committee found Murray’s Recycled Plastic a pleasure to deal with and they facilitated us in every way. 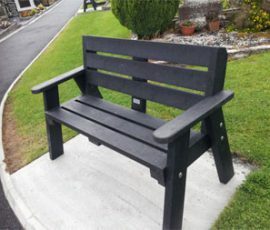 The benches are exactly as stated in the specification – solid, no cleaning, vandal proof and as the photos testify, compliment the graveyard in both the new and old parts. All in all a very satisfactory experience. 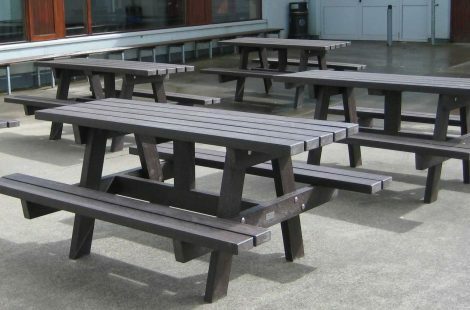 St. Marys National School, Oldtown, Co. Dublin purchased picnic benches from Murray’s Recycled Plastic in August 2010. It is now 6 years later and they still look as good as new. Our teachers and children get wonderful value from them. On the rare occasion we get a warm day one or other of our teachers will take their class out for a lesson. The children also love to have their lunch sitting on the benches. Simply share your email with us below and we’ll keep you posted on all the latest news, events, special offers and new products ranges. We’ll even send you our brochure as a thank you.